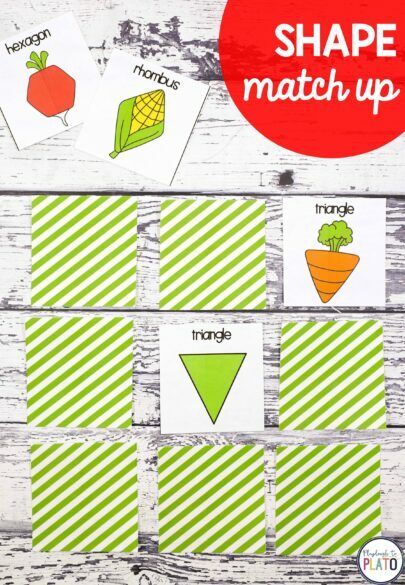 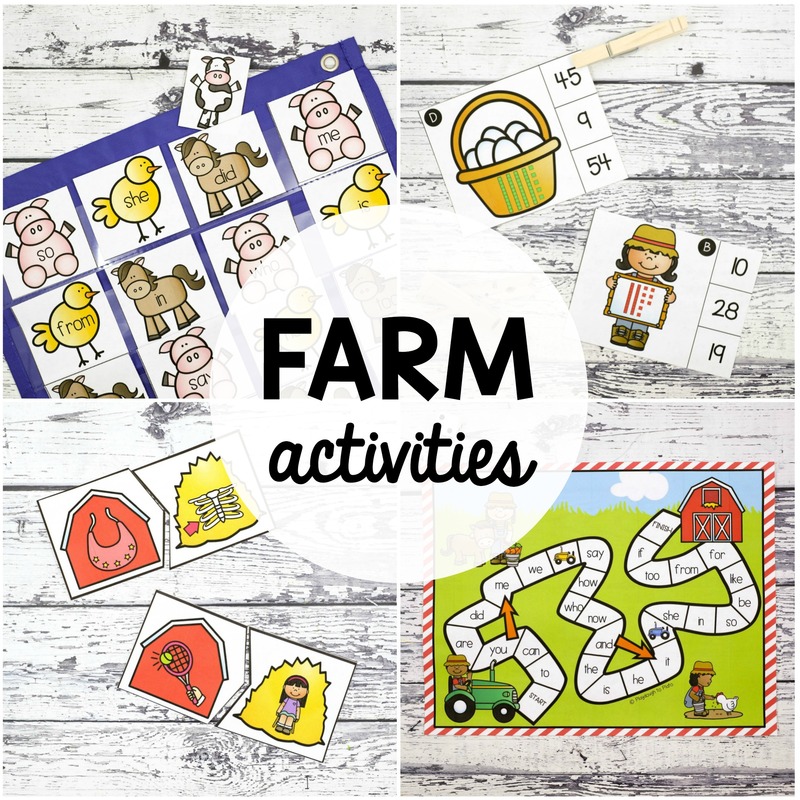 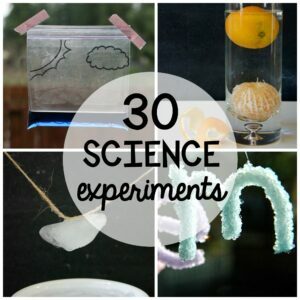 Looking for farm activities your students will beg to play over and over again?! 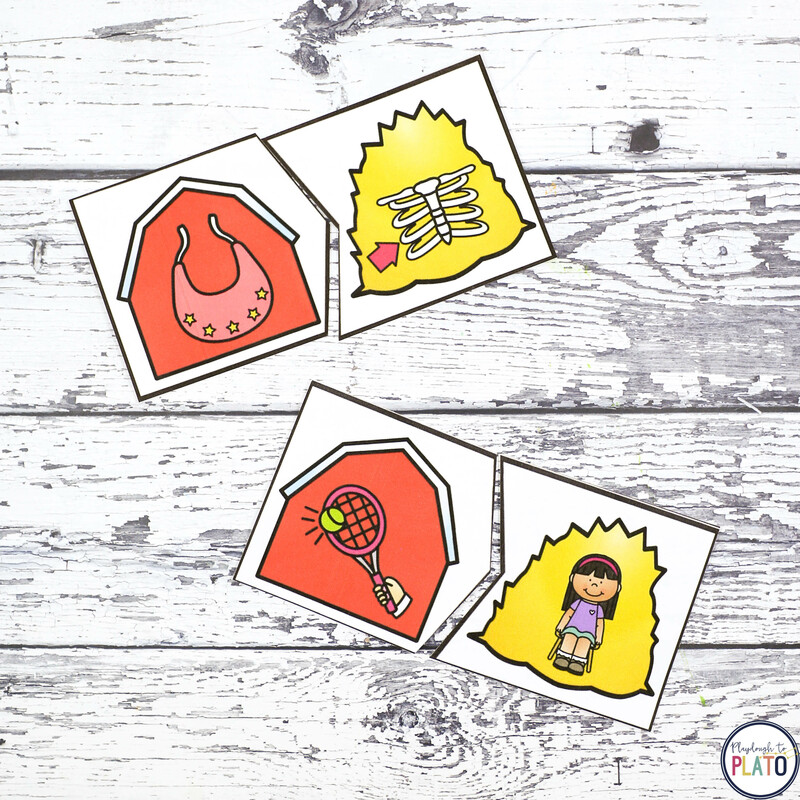 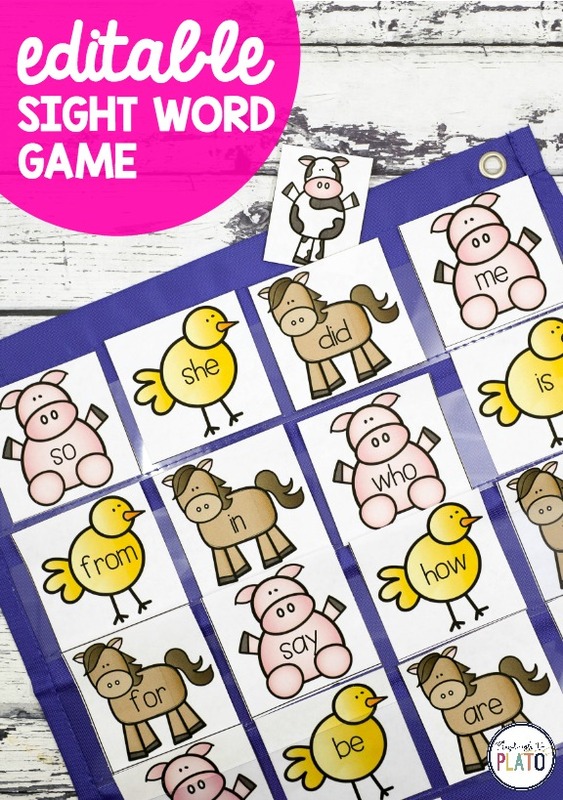 This print and play pack includes 17 motivating ways to teach phonics, word families, sight words, number concept, 2D shapes and so much more. 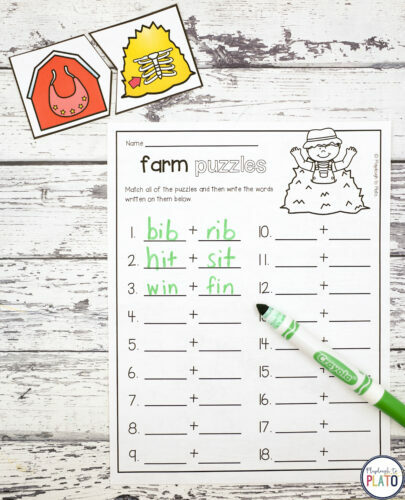 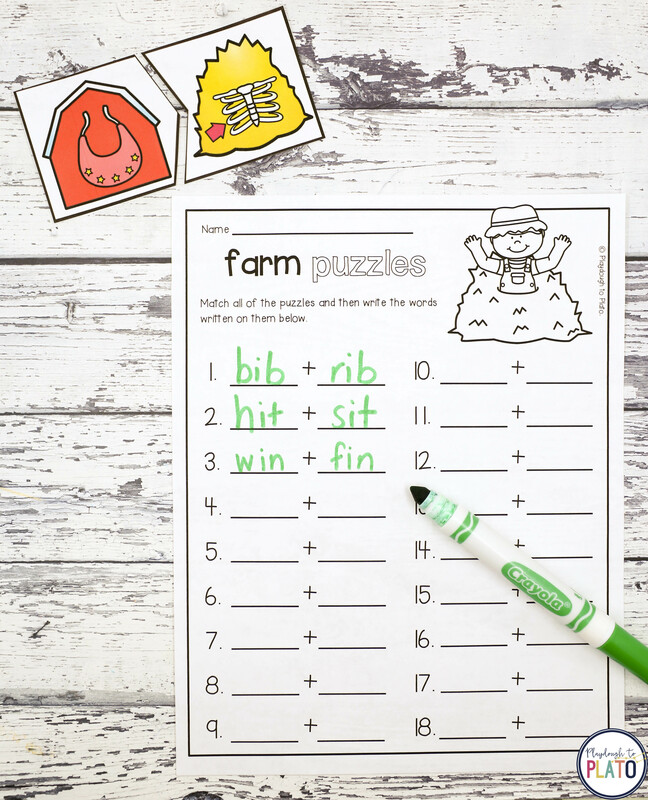 The farm activities are easy to differentiate, making them perfect for kindergarten and first grade! 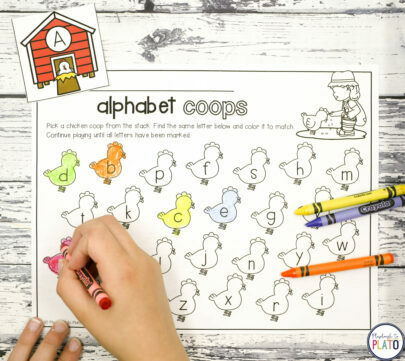 –> Alphabet Coops. Such a motivating way to work on letter recognition and upper and lowercase pairing. 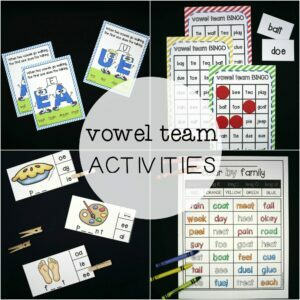 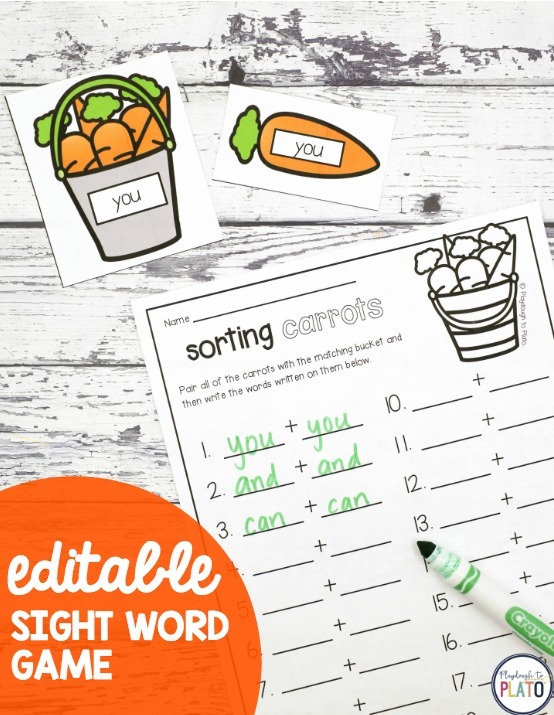 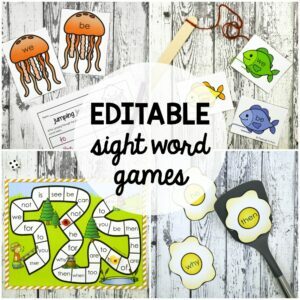 –> EDITABLE Sight Word Game. 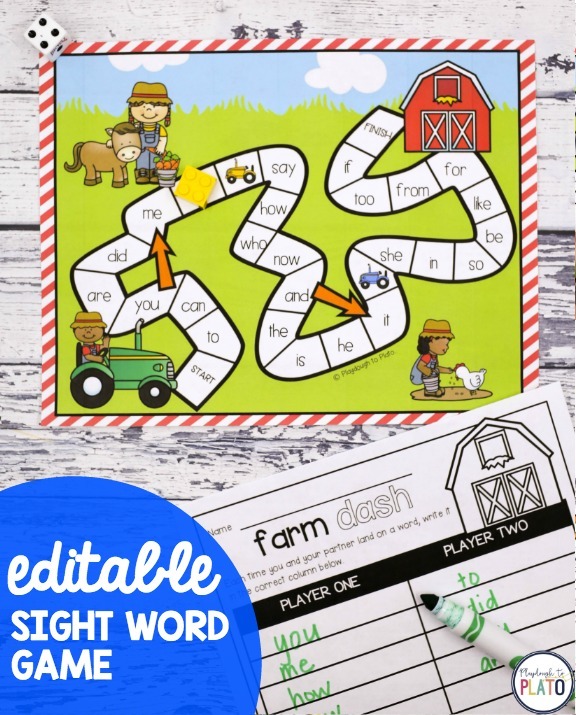 Race to the barn as you read and write sight words along the way. 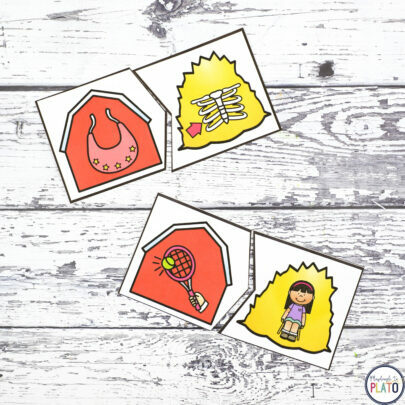 –> Base 10 Clip Cards. 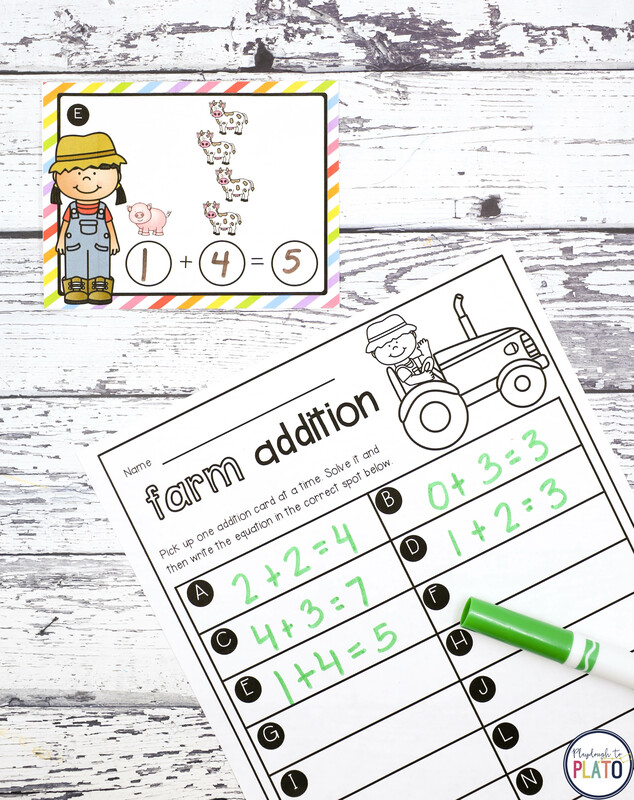 Practice counting and building numbers 1-120 with base ten blocks. 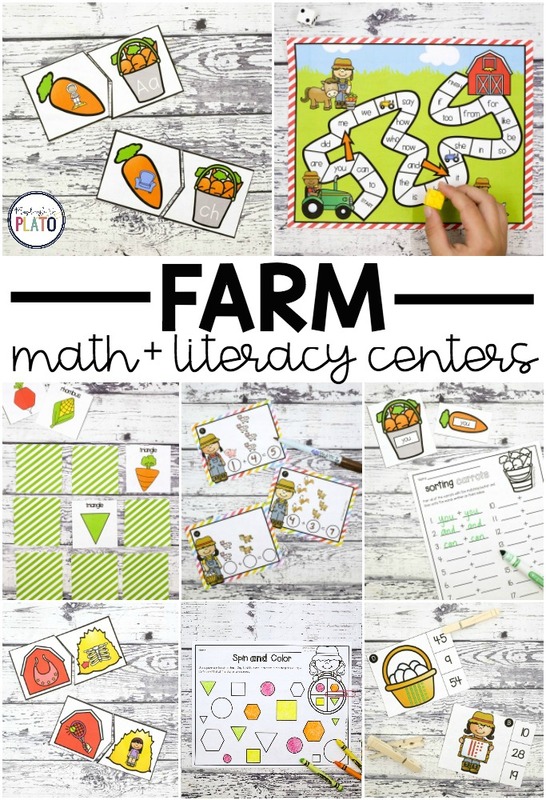 –> Farm Patterns. Create AB, ABB, ABCD, AABB, AAB and ABC patterns. 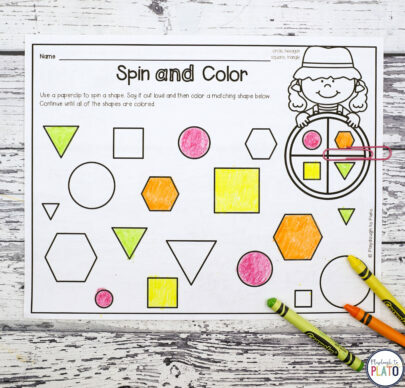 –> Shape Spin and Color. 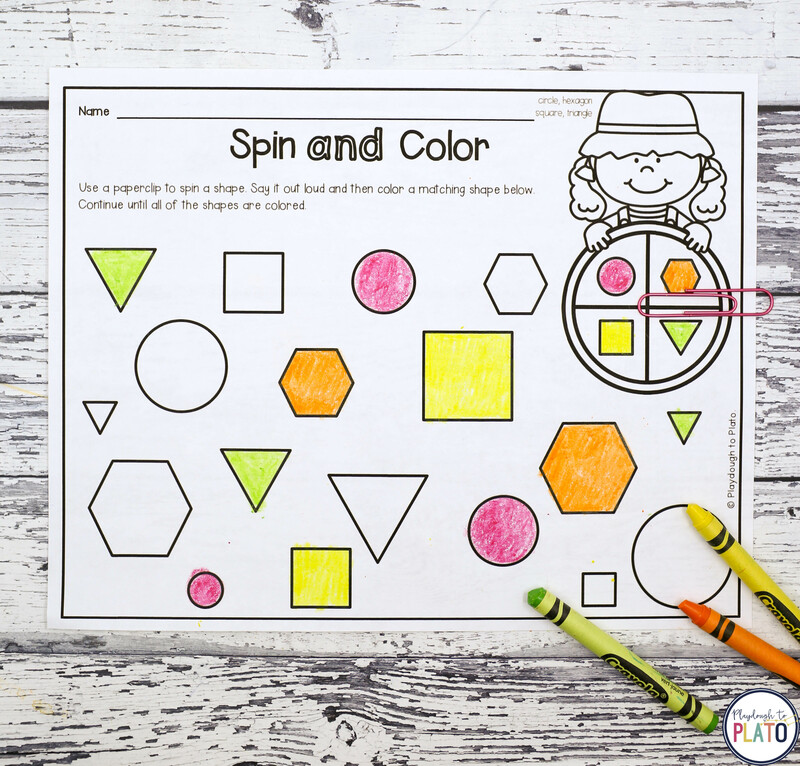 Spin a 2D shape, name it and then color it. 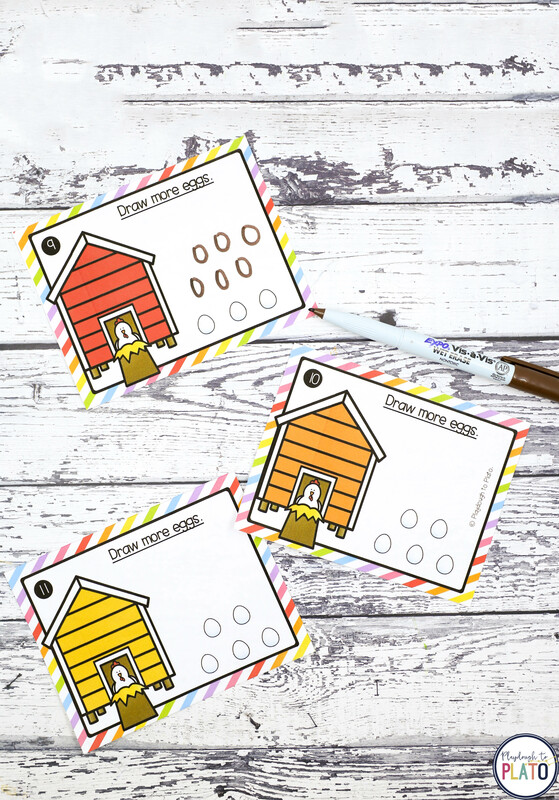 –> Write and Wipe Counting Cards. 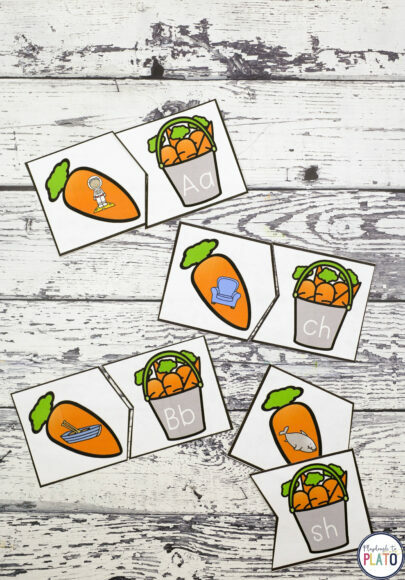 Work on number recognition, counting on from a given number and one to one correspondence. 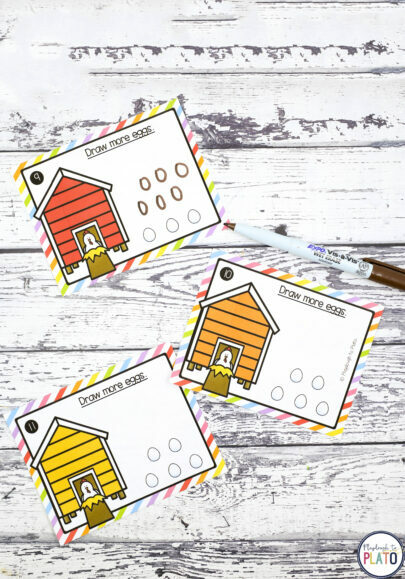 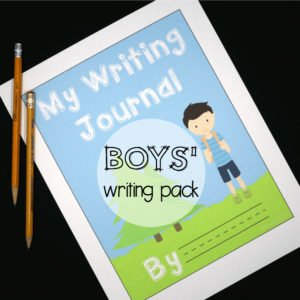 –> Write and Wipe Addition Cards. 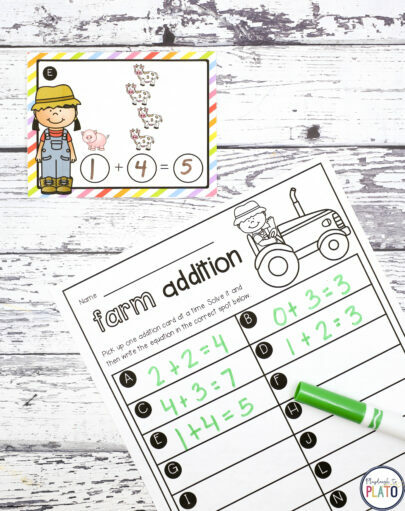 Write and solve farm-themed addition problems. 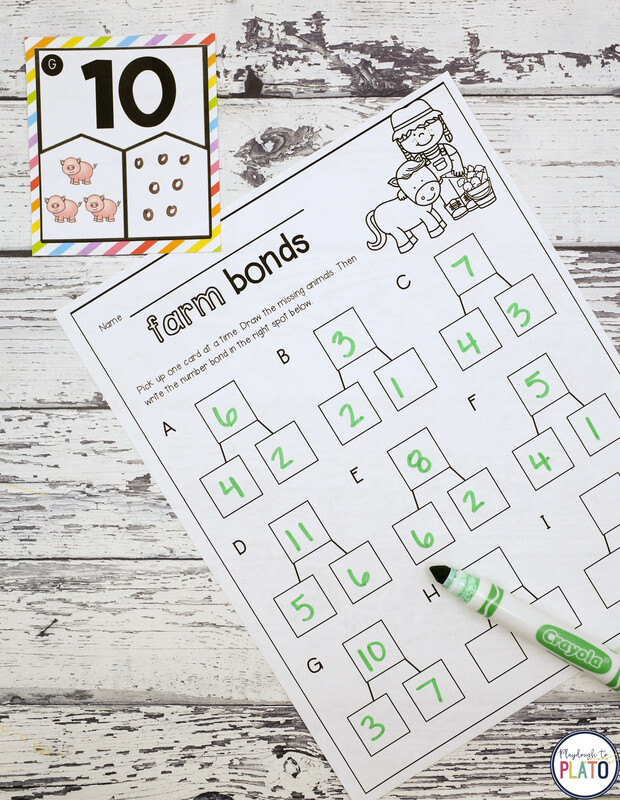 –> Write and Wipe Number Bond Cards. 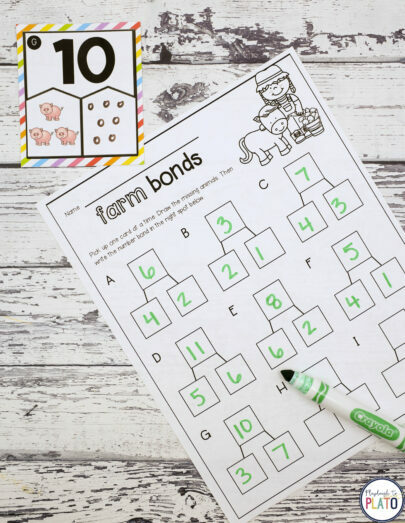 Then stretch students to find the missing number in each farm number bond. 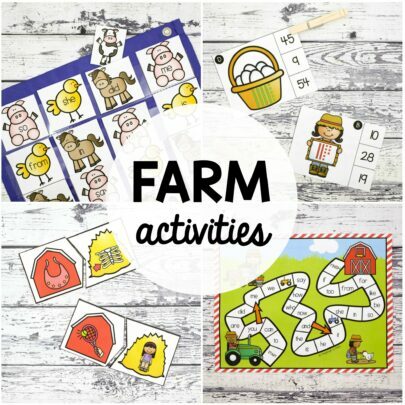 THERE ARE 17 FARM ACTIVITIES IN ALL!